NYC has been under the direction of John Standing (1984), Jon Washburn (1986), Wayne Riddell (1988), James Fankhauser (1990), Elmer Iseler (1992), Diane Loomer (1994), Robert Cooper (1996), Iwan Edwards (1998), Leonard Ratzlaff (2000), Lydia Adams (2002), Kathryn Laurin (2004), Richard Sparks (2006), Dr. Julian Wachner (2008), Dr. Victoria Meredith (2010), Ivars Taurins (2012), Hilary Apfelstadt (2014), Michael Zaugg (2016), Timothy Shantz (2017), and Jeff Joudrey (2018). Canada's National Youth Choir 2018 completed a fabulous rehearsal week and tour through Newfoundland and Labrador from June 16 - July 3, culminating in performances at Choral Canada’s national conference and festival, Podium, held in St. John's. This year’s conductor was Jeff Joudrey, Director of Music at Trinity-St. Stephen’s United Church in Amherst, Chorus Master of the Symphony Nova Scotia Chorus, and director of The Halifax Camerata Singers. He is highly regarded for his vision, musical leadership, and standards of excellence in choral music. 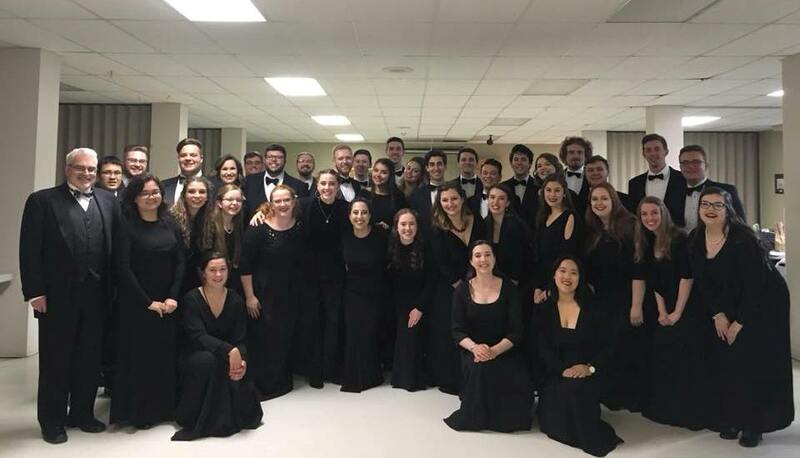 The Halifax Camerata Singers have four recordings to their credit and were awarded the prestigious Healey Willan Grand Prize and first place in the Chamber Choir category in the 2010 National Competition for Canadian Amateur Choirs. Read more about this year's NYC program, its conductor, its pianist, and the singers here. The next auditions will be held in the fall of 2019. Visit the National Youth Choir website or see information here for details.